Once again, the research of Art Detective’s Paul Kettlewell has resulted in a confident correction to painting data. Paul Kettlewell is a frequent user of newspaper archives, which often report on commissions of portraits of town dignitaries. An article in the Whitstable Times and Herne Bay Herald dated 28th October 1899 noted that Faversham Town Council, Mayor's Parlour and Guildhall’s portrait of Alderman John Andrew Anderson, JP was by a 'Mr Walker', who agreed 'that it would not be injurious' if the work was glazed. The article also noted that the painting was presented in '1899, to the Corporation, for the Council Chamber, by 151 inhabitants of Faversham and neighbourhood'. A discussion soon was underway relating to the identity of Mr Walker, the portrait’s artist. 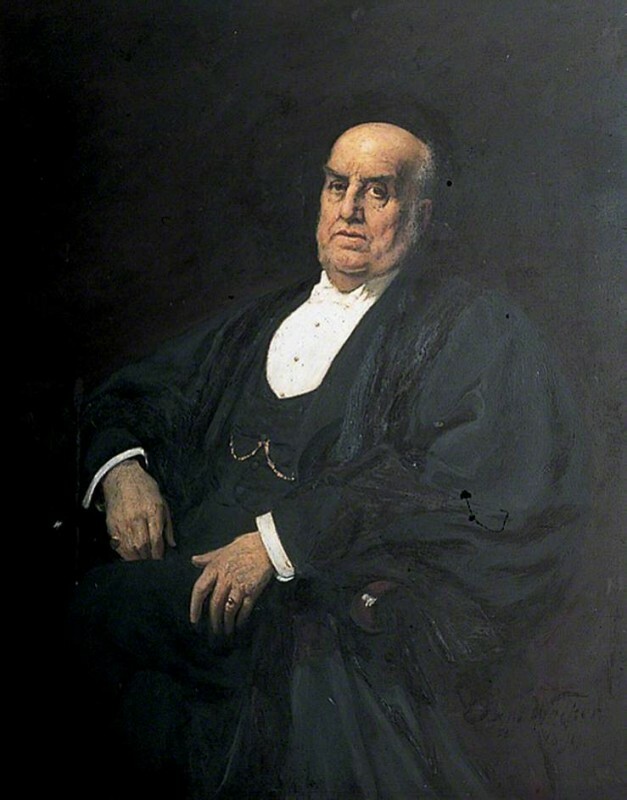 Tim Williams mentioned John Hanson Walker (1844–1933) as a possibility, followed by Oliver Perry, who linked to an article which mentioned Edward Bent Walker painted a mayor of Faversham. Osmund Bullock took a closer look at the signature, which appeared to read 'E Bent Walker', with '1899' below. Osmond noted that he thought John Hanson Walker was a strong possibility until seeing the article found by Oliver, however it was difficult to compare the signatures of E. Bent Walker works, which vary across paintings. He noted to support the attribution that E. Bent Walker (1860–1917) was working in the south of England at the time of the Mayor’s portrait. A short discussion was held regarding E. Bent Walker’s forename, as Osmund noted the RA (Graves 1905) has him listed as Edwin, as does the Witt Library checklist and ULAN, yet Edward is more likely: an obituary written by close friend Robert Blatchford gives the artist's name as Edward Bent Walker. Group Leader Barbara Bryant recommended the discussion be closed, and noted that in '1899, Walker was at Bushey in Hertfordshire, still associated with Herkomer's school.' Edward Bent Walker (1860–1917) was listed as the artist of the portrait, and the execution date of this work amended slightly from 'c.1899' to '1899 or before'. Which Walker painted this portrait of 'Alderman John Andrew Anderson, JP'?